You probably wander what are the top 5 hotel directories. So we set off to find out. These days, it’s all about user experience (UX). You may have the best database-driven information in the world, but if your site is ugly or the navigation is wonky, you won’t keep visitors. Travel websites are notorious for having bad UX, but there are a few out there that are just fun to browse. Here are my top 5 hotel directories, listed in no particular order. Wandari.com is a new hotel directory that is built for visuals. Using Google map technology as its backbone, green bubbles appear as you browse the globe. Each bubble houses a number of hotels. As you zoom in, the bubbles divide like cells, giving you more precise location data for the distribution of hotels. 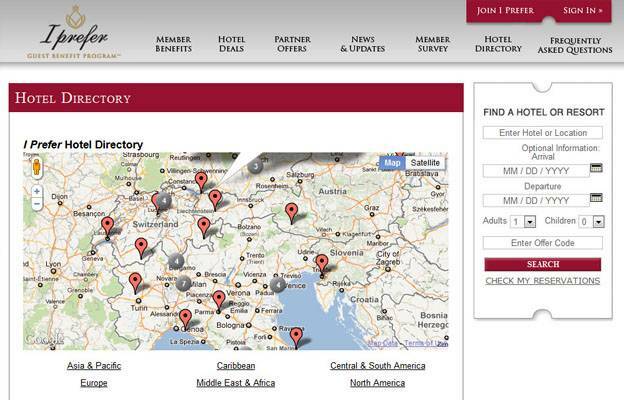 Click on the bubble and a list of hotels within the bubble appears. You can browse hotel listings, view details, find contact information and enjoy photo slideshows, rooms and more. Tablet is a clean, striking hotel directory. Their simple interface provides a clean user experience. 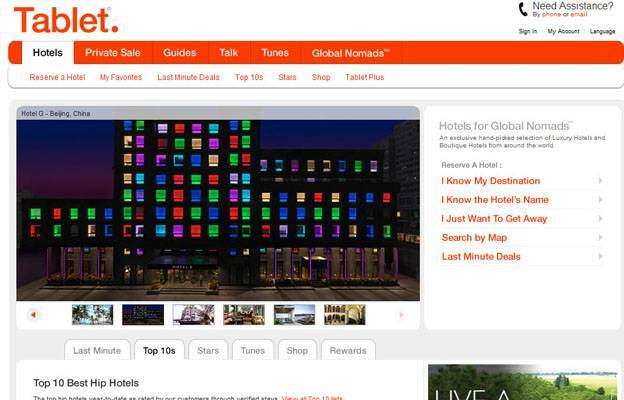 Instead of browsing for hotels, this directory is designed for people who already know what they want. By selecting the type of browser that best fits them, users are sent to forms that they fill out (which are less than enchanting) but they have a nice tab-based structure for browsing boutique properties. Mr & Mrs Smith is a robust website that has a lot of great information about hotels. Like Tablet, they have a field for finding hotels that meet your qualifications, and like Wandari they have a map you can browse to find hotels visually. However, unlike Wandari their “bubbles” are not cells but tags without numbers, which makes it difficult to quickly find out how many hotels are in the area you’re browsing. IPrefer has an elegant theme with a directory that appears to be a side project next to their main purpose—selling website memberships. Like Wandari and Smith, they have a map browser which is nice but less unique than the other two. 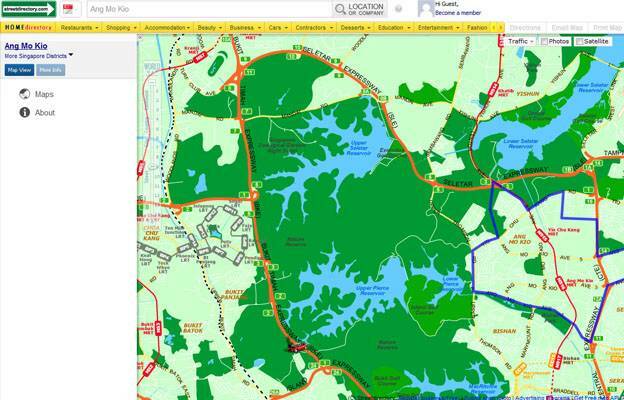 They use generic Google Place markers and confuse the matter with little gray blobs. Still. The blobs have numbers on them so you can see how many hotels lie within, making the experience much better than a static list like most directories. Street Directory does not use Google Maps, but instead uses the Free Map API to generate their directory. 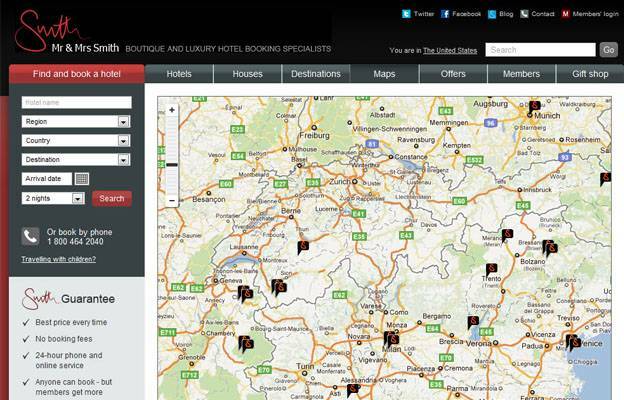 While not exclusively a hotel directory, they do have a wide selection of hotels that appear on their vibrant map. The map is a tad cluttered making navigation a bit awkward, but once you get used to it you can find pretty much anything you are looking for. UX has made great strides in a number of industries, especially the gaming industry, and it is about tie that hotel web design began to meet the new standard of user experience.